The British Breeding Futurity awards started the evening with Certificates of Merit being presented by British Breeding Director Dr Eva Broomer to the breeders of the highest placed foals, yearlings, 2 and 3 year olds in each discipline. The presentations were made in front of a back drop of videos and images of each young horse, allowing the audience a chance to see why these young horses had been so highly marked. The overall top scoring youngsters in each discipline were then recognised with a presentation made by Jane Buchan of long standing series sponsor Baileys Horse Feeds. The foal champion came from the Show Jumping section, which was Aileen Stormonth’s Esme X. This chestnut filly was in fact the highest scoring entrant throughout the whole series, being awarded a fabulous 9.525 by the assessors. Esme X is a daughter of the 2014 Scottish Loose Jumping Champion Goodyear VDL out of a Belgian bred mare. 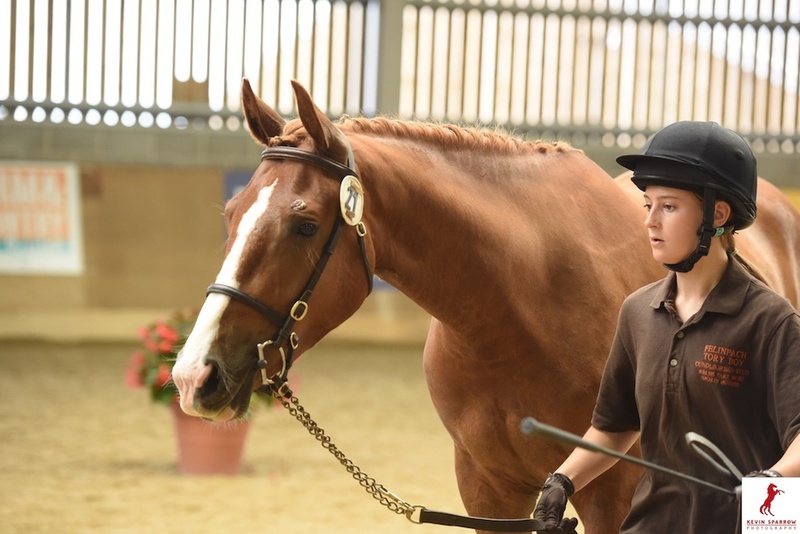 The highest awarded yearling was Pippa Drew’s homebred sport pony Hammerwood Flamingo, a son of the Welsh Section B stallion Lemonshill Falcon out of a mare by the late Hanoverian sire Rhondeo. Pippa was accompanied by the sire’s owner Jo Filmer when she collected her award. The 2 year old champion was the eventing bred gelding Cundlegreen Garanwyn. This smart youngster is half brother to the CIC*** eventer Hartpury Sky is the Limit, sharing the same Concorde dam Sammy Jo G. He is owned and bred by Vanessa Francis who also owns his sire, the Welsh Section D Felinfach Tory Boy, the sire of another Elite eventing prospect – Cundlegreen Birthday Girl and a county standard WHP in his own right. It was back to the sport ponies for the 3 yo winner, the colt Barrowby Lord Darcy, a pure bred Connemara owned and bred by Tom McManus from Barrowby Stud. The colt really impressed the judges with his loose jumping and has a very exciting career ahead of him both as a sire and a sport horse. He is by Drummore Sea Breeze, who is a son of Castle Gizmo, 2016 Connemara Sire of the year at HOYS. Hawtins Stud dominated the dressage awards taking both the 4 year old prize (Hawtins Lirica) and the 6 year old with Hawtins San Floriana, who was winning her third award. Breeder Judith Davies was also the recipient of the British Hanoverian dressage award, this time for WEG team medallist Hawtins Delicato. Sandwiched between the Hawtins Stud horses was the 5 year old winner Kiss n Tell, a striking son of Kardinal who was purchased as a foal by Roland Tong from breeder Rebecca Hoare. The highest placed British bred horse at WEG came from the Para Dressage section and was C Fatal Attraction, a Fidertanz son bred by Astrid & Betty Brandon. These awards are presented to the breeders of the top British-bred horses from the BE Young Horse Championships. Lianne Verity collected the 4 year old award for Myspires Another Star by the homebred stallion Myspires Revolution, the 5 year old breeders medal went to Candice Williams for Quintessential III (Quaid I) and Julie Knight of Weston Stud collected the 6 year old breeders medal for Weston Goodfella. Goodfella is by the homebred advanced eventing stallion Weston Justice. Finally Sarah & Brett Bullimore collected the 7-year-old breeders medal for their own Corouet, who was a former Futurity Elite and represented Great Britain at Lion D’Angers. 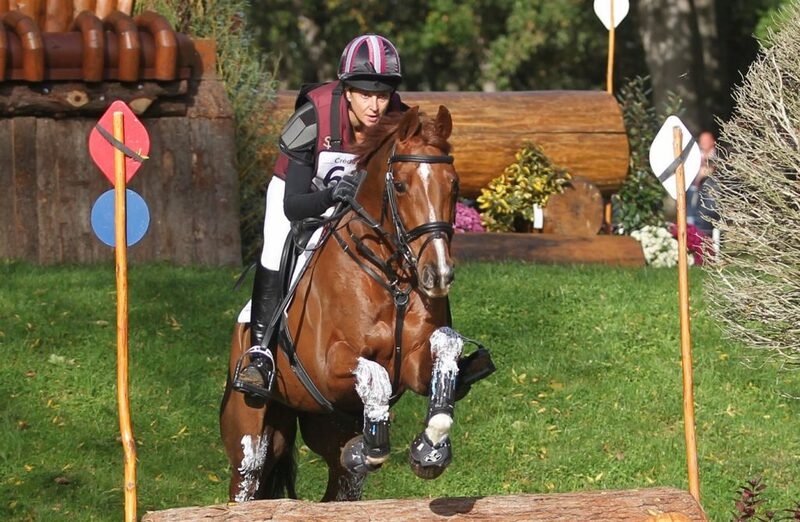 Sue Trump was the recipient of the Wide Awake Trophy for the fabulous 4 star horse and the top British bred eventer at WEG – the Jumbo son Mr Chunky. Badminton winner Classic Moet (by Classic) was awarded the British Horse Foundation Award. These awards were presented to the breeders of the highest placed British bred horses of their age sections at the British Young Horse Showjumping Championships at Addington Manor in August 2018. The winners were Helen Rees for Bianca Du Rouet (by Statinus), the 5 year old winner, John and Claire Whitaker for Shooting Star (The Voss), the 6 year old winner, David Morton and Geoff Glazzard for Cristo Beech, the 7 year old winner who is by their own stallion It’s the Business. Also in the show jumping section was a special award made by Gornall Equestrian to the highest placed British-bred mare on a Championship Showjumping Team. 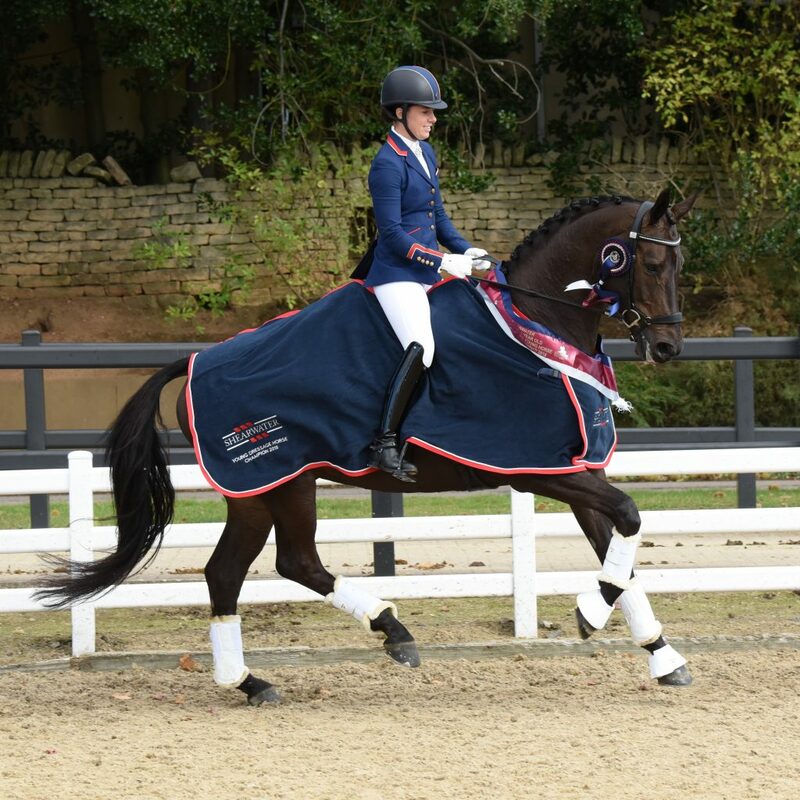 This was Claire Inglis’ Wishes (by Guidam), ridden by her daughter Amy to European Young Rider team gold. Horse & Hound Dressage and Sport Horse Breeding Editor Polly Bryan presented Sarah Oppenheimer with the award for her outstanding mare Rubinsteena, who sadly passed away in 2018. 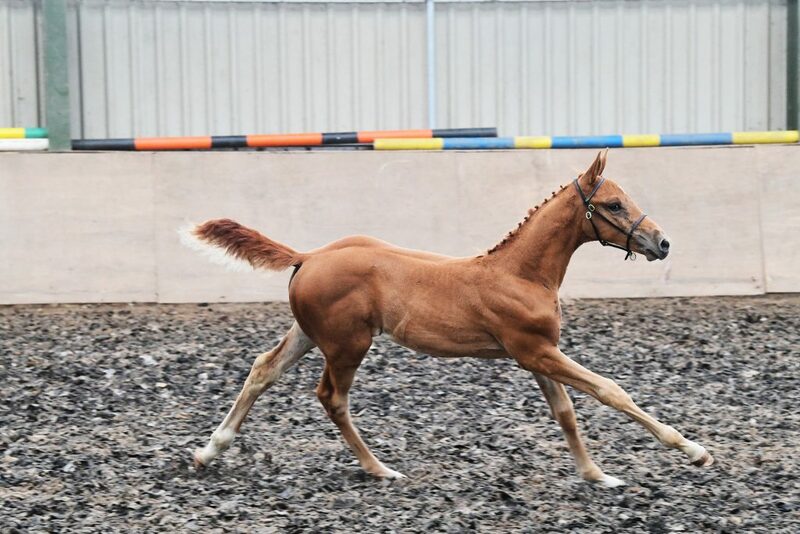 This fabulous mare produced top competitors such as Headmore Dirubinio and Headmore Davina (both by Dimaggio), Headmore Bella Ruby (Belissimo M) and Futurity Elite foal Headmore Valentina. The final award of the evenign was presented to Jennie Loriston-Clarke who received a standing ovation from the knowledgeable audience who fully appreciated how much she had done for British breeding, both through Catherston Stud and as an evaluator, judge and competitor. The certificates of merit are not listed individually in this report, which is what your yearling was awarded. Only the 4 age group winners.